GRN package regarding Pope Benedict XVI’s apostolic trip to Cuba on March 26th 2012. 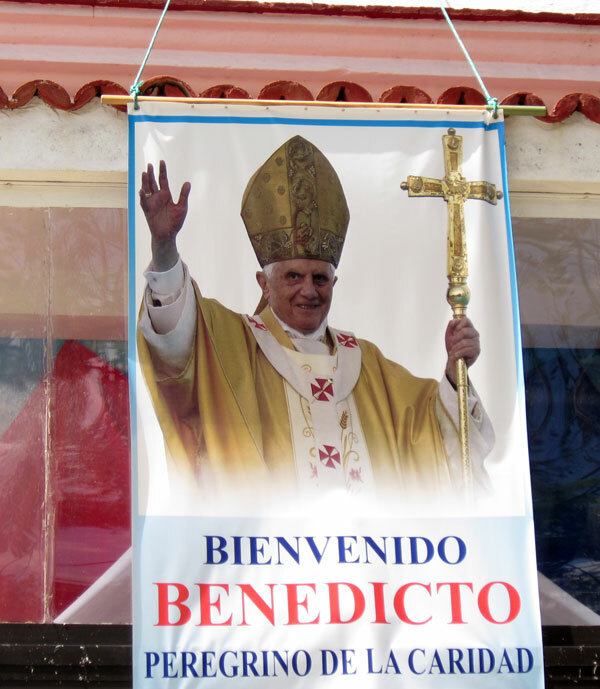 With this in mind, Cubans welcomed Pope Benedict XVI, from the Saint Peter Basilica, on 12 December announcing his wish to make an apostolic trip to Mexico and Cuba, accepting President Raul Castro’s and the Conference of Catholic Bishops of Cuba’s invitation to visit. The details of the trip were agreed in a meeting between President Castro and a delegation from the Vatican. The Cuban press reported about the preparations, which are well underway in eastern Santiago de Cuba and Havana, the two major cities to be visited by the Holy Father. The next papal visit is also of great interest to the international media, and reporters from around the world will flock to Cuba to cover the event. Add to this the thousands of visitors who are also expected to come, including numerous Cubans living abroad, particularly in the United States where there are more than one million of them. Especially now that Bush administration restrictions on travel to Cuba have been lifted by Barack Obama, so that Cuban Americans can come to visit their families as many times as they wish during the year. The Holy Father said in Rome that he would proclaim the word of Christ in Cuba and strengthen the conviction that this is a precious time to evangelise with robust faith, lively hope and ardent charity. 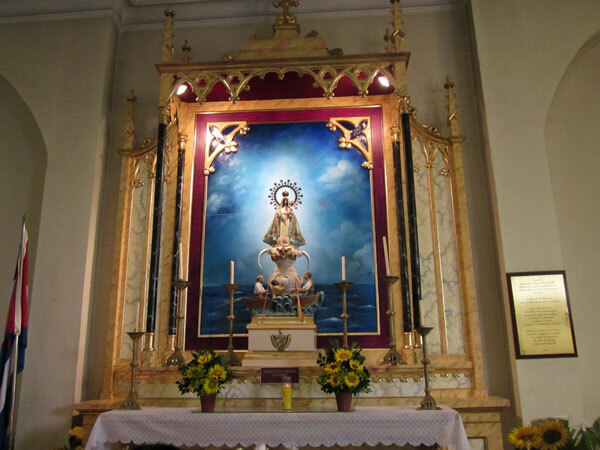 According to sources from the Vatican, the visit by Benedict XVI to Cuba will meet his long-held wish to tour the Sanctuary of the Virgin of Charity of El Cobre, in eastern Cuba. The Pope will come to Cuba as a “pilgrim of the Virgin… it will be a moment to imprint dynamism to faith in Cuba,” said Monsignor Jose Felix Perez, executive secretary of the Conference of Catholic Bishops of Cuba. 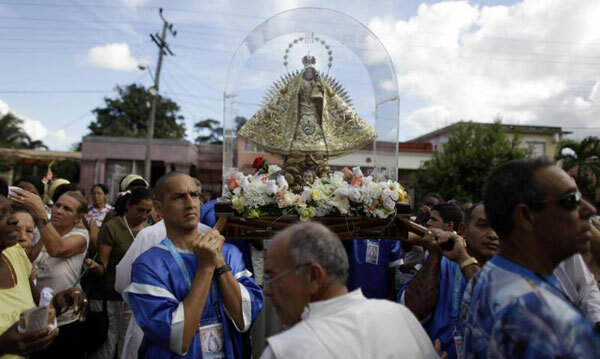 In recent statements to GRN, Cardinal Jaime Ortega said that the Pope would also be in Cuba for jubilee celebrations this year for the Virgin of Charity of El Cobre, which was found some 400 years ago. “Benedict XVI will come to consolidate a process of our return to our roots, which reinforces our identity as people and as a nation, a process that favours reconciliation among all Cubans and creates an environment of hope, which he can support too”, the Cardinal said. Cuba will welcome Pope Benedict XVI with affection and respect, said the Cuban president during a meeting earlier this year in Havana with the delegation from the Holy See that came to make the preparations for the visit. During the meeting with the Vatican’s delegation, headed by Alberto Gasparri, both parties confirmed the excellent state of relations between Havana and the Holy See, the Cuban media reported. On previous occasions the cardinal has addressed relations between the Cuban state and the Roman Catholic Church, which he has divided into different stages starting with the tensions present since the very first years of the revolution to a positive renewal of links at the present time. “The feature of the current stage is dialog. We must have a dialog between believers and non-believers, between the Church and Cuban authorities, between Catholics in Cuba and those abroad,” the Cardinal said. 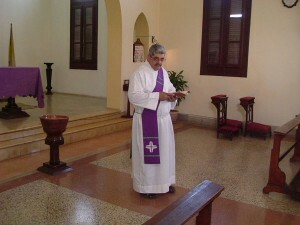 Following the visit by Pope John Paul here, the Catholic Church in Cuba became known to the world and its presence in the national mass media increased. 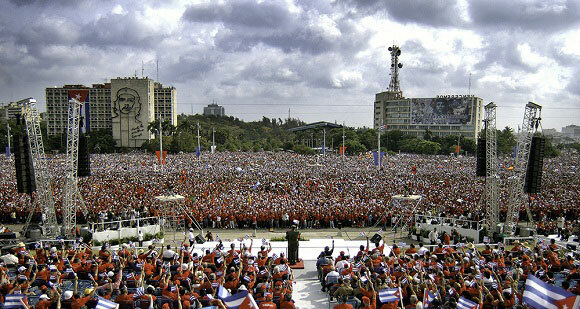 The Cuban people perceived the existence of a living Church. Then December 25th was made a national holiday again; priests began to be allowed to visit prisons; foreign priests, seminarians and religious people were allowed to work in Cuba and those in Cuba could go to study in Rome, Spain and other countries. 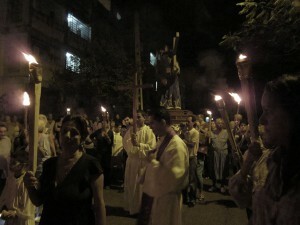 Public processions of faith now take place and Catholic publications (Palabra Nueva, Conferencia de Obispos Catolicos de Cuba, Espacio Laical, Vida Cristiana) are now widespread and are well received by Catholics and non-Catholics alike, while the dialog between the church and local authorities continues to grow. “The Catholic Church in Cuba has played and continues to play a public role in terms of humanitarian actions according to its pastoral duty, which did not exist for years. This along with public and community expressions of faith and religious devotion is a very positive way to consolidate the religious freedom that has progressively advanced over the past years in our country,” the Cardinal pointed out. In a recent interview on Cuban Television the Vicar General of Havana, Monsignor Carlos Manuel de Cespedes, said that in Cuba there had been confrontation between the government and the Church and both parties were responsible for this situation. 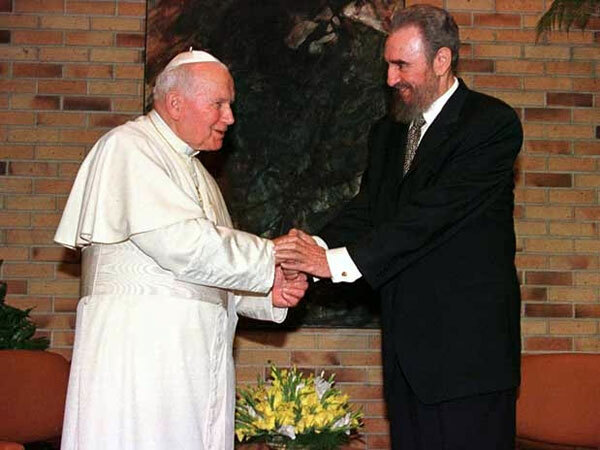 But Cuba was not an exception in the history of Marxist governments; in all Marxist countries there were conflicts with the churches, either the Roman Catholic Church, the Protestant Church or other orthodox churches. The Vicar said that fortunately there was always someone, or better some people, in both parties that were interested in bringing a positive change, so they continuously worked for that aim. And he stressed that at present, the situation of the Church in Cuba is as normal as in any other Catholic country in the world, or even better. 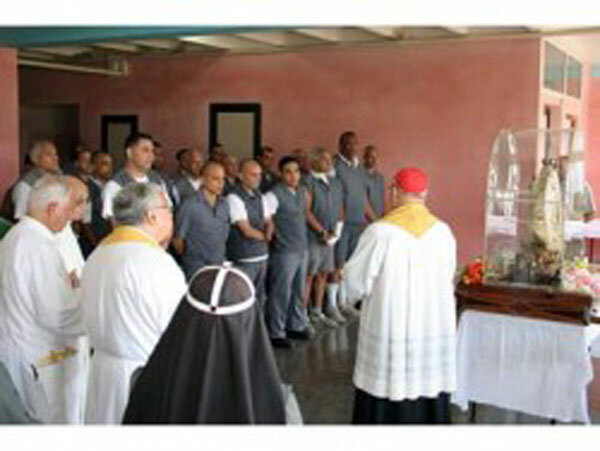 As a result of the increasing bilateral dialog that started in 2010 between the Catholic Church and the Cuban government, over 100 inmates were released from prison in 2011. 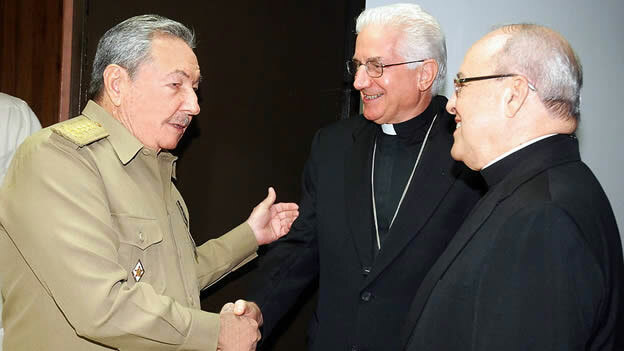 Later in December, President Raul Castro announced the release of over 2,900 inmates for humanitarian reasons, upon requests by religious institutions and their relatives. These inmates were non-political prisoners and had maintained good behaviour throughout their sentences, which was also a condition of their early release. The government’s action took into account the upcoming papal visit and celebrations in 2012 for the 400th anniversary of the finding of the image of the Virgin of Charity of El Cobre, Cuba’s patron saint. The Virgin was crowned by Pope John Paul II on January 24, 1998. Millions of Cubans flocked to the streets in neighbourhoods throughout the island to venerate the Virgin of Charity of El Cobre, whose image started an island-wide procession beginning at its shrine in eastern Santiago de Cuba in 2010 and ending in Havana in 2011. “The visit of the Pope sparks great joy and hope”, the executive secretary of the Conference of Catholic Bishops of Cuba, Jose Felix Perez, told reporters. Perez said that the papal visit will further strengthen the feelings of unity and conciliation of all Cubans. The visit will take place March 26 to 28. The Pope will arrive in the eastern city of Santiago de Cuba on March 26. He will hold the annunciation of Virgin Mary, with a mass at the Antonio Maceo Central Square. He will also visit the National Sanctuary of the Virgin of Charity of El Cobre, and then leave for Havana, where he will be welcomed by Cardinal Jaime Ortega Alamino, Archbishop of Havana, and other religious and civil authorities. On March 27, Benedict XVI will meet with Cuban President Raul Castro and later he will visit the Catholic bishops at the Havana Apostolic Núnciature and on March 28, the Pope will officiate mass at the Jose Marti Revolution Square before returning to Rome.